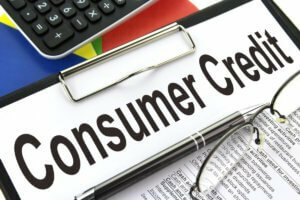 Home » How Does Consumer Credit Counselling Work? When you’re dealing with a lot of debt and your debt load continues to grow, you may feel like you’re running out of options and time. Take a breath and don’t panic because you do have options; it’s just a matter of determining what the best course of action is. There are a number of ways to deal with debt in Canada, including consumer credit counselling. What is consumer credit counselling? 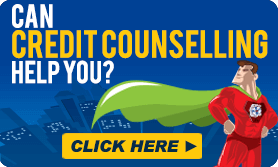 Credit counsellors are trained financial professionals that help consumers just like you who are burdened with a large amount of unsecured debt. This debt includes things like credit cards, lines of credit and even payday loans. The goal of the credit counsellor is to examine your debt load, help you pay your debt down as soon as possible and keep your credit in good standing. There are a number of debt relief options that could be considered, but consumer credit counselling agencies work most commonly with debt management programs (DMP). Your credit counsellor negotiates with your creditors on your behalf to reduce your interest rates and sort out a payment plan that will see you pay your debts back in full. Typically DMPs work best for people who are able to repay their debt, but could use some assistance with interest rate relief or would benefit from a longer timeline to make payments fit more reasonably in their budget. Often your credit counsellor acts as a “middle-man”, with you making your payments directly to the credit counselling agency, and then they disburse them to your creditors on your behalf. What are some of the benefits of working with a credit counsellor? Working with a consumer credit counselling agency can be highly beneficial, because the strategy involves more than just getting rid of your debt. Together with your credit counsellor, you’ll determine a plan to pay down your debt, but also explore reasons why you accumulated your debt in the first place. You address those reasons, and with your credit counsellor come up with a strategy to keep you out of debt going forward. “One of the greatest benefits of working with a credit counsellor is that they will teach you about budgeting and build your financial literacy to responsibly manage your finances in the future. A surprising number of people end up way over their head in debt because they either didn’t have a budget, weren’t tracking their spending or didn’t have limits set around spending within their means,” says Jeff Schwartz, Executive Director, Consolidated Credit Counseling Services of Canada. “There are a number of debt relief options that you can choose from, but working with consumer credit counsellors can help you get the real-life skills that you need to make a positive change for your financial future,” says Schwartz. What’s more is that this debt relief option can help you pay off your debt in full and improve your credit profile, which isn’t always possible with other debt relief options. Just like not all debt solutions are the same, not all credit counselling agencies are the same. You’re well advised to do lots of research before you make a decision. The good news is that there are a number of reputable agencies out there that offer valuable service to debt-laden Canadians in need of support and who genuinely have the best interests of their clients at heart. Unfortunately, there are also a number of agencies with questionable practices that can create more financial trouble for their clients with hefty fees. Here are some points to consider when selecting your agency. In today’s digital world, consumer reviews are an integral part of every consumer decision. Consumers consult other consumer’s experiences on nearly every product and service. Use the same mentality to check out prospective credit counselling agencies. What do past clients have to say about their experience? Do they have positive customer reviews? Are there any negative reviews about employees? Make sure that you are getting your reviews from reputable 3rd party sites, like Facebook, Google Plus, BBB, etc. You should also consider a consumer credit counselling agency’s reputation. What is their rating with the Better Business Bureau? How long have they been in business? What is their track record? Your credit counselling agency should have physical offices that you can visit and employ different modes of communication so that you can get the help you need, when and how you need it. You can learn a lot about the legitimacy of a business by how they are set up and how they are run. While there are both for profit and not-for-profit agencies, it is generally a better choice to go with the not-for-profit option. Not-for-profit credit counselling is usually done for no fees (or low fees) because their purpose is to offer assistance, not drive profits. How do you know if an agency is not-for-profit? They need to be registered as a charitable organization. It’s important to determine if the credit counsellors at the agency that you are considering are properly trained. The agency should be licensed AND accredited in the province that it operates in. All of these legitimize the company and ensure that you’ll get the help you need because of their high standards. It’s better to work with an agency that offers a range of debt support services, as opposed to just administrating a debt management plan. Look for one that offers support with budgeting, other financial counselling and debt learning resources. To learn more about our agency and how we can help you, call our trained credit counsellors at [PHONE_NUMBER] or visit our free online debt analysis. Infographic: Credit Counselling Infographic: Can Credit Counselling Help You? 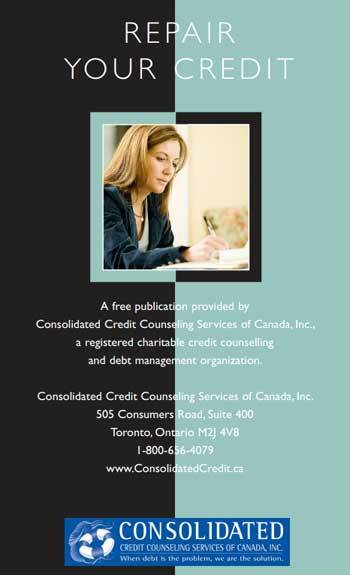 This publication is designed to help those who have had credit problems in the past. Many people feel frustrated and worried that a damaged credit history will remain with them forever or at least for a very long time. In almost every case there are strategies and concepts that one can use to put their credit back on track.